Windsor Farm Shop, on the edge of the Home Park, has been created by converting some Victorian potting sheds and constructing two new buildings, one for the shop and one for the Coffee Shop. 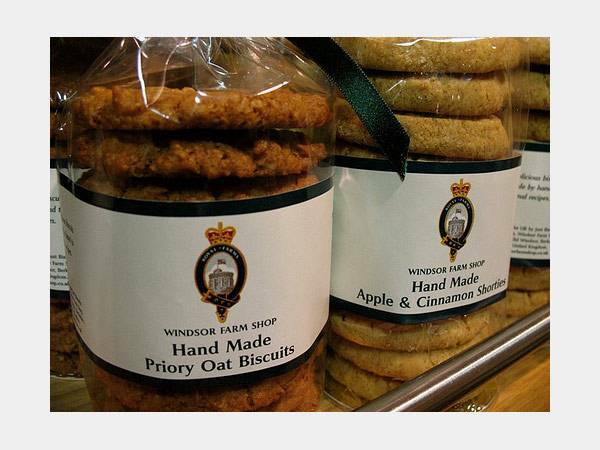 The Farm Shop sells a range of products from the Royal Farms and small local specialist suppliers. The Bakery department offers a range of hand made desserts, sponges and patisseries alongside flapjacks and shortbreads. 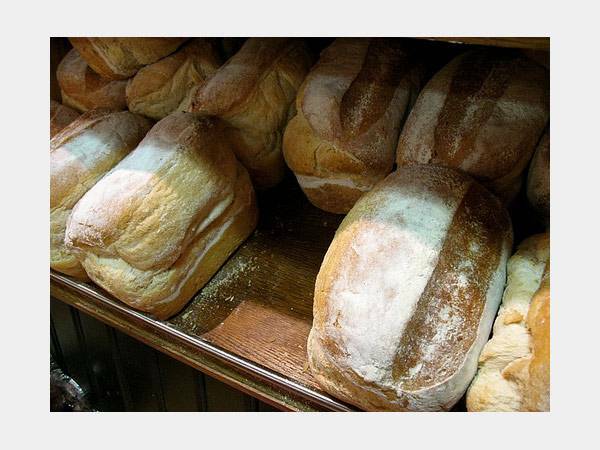 It also has the full range of Duchy Originals Organic speciality breads. Traditional butchery methods are employed at the Windsor Farm Shop. Reared on the Royal Estates, beef, pork and lamb are matured on the bone for at least fifteen days to ensure full flavour and tenderness. Poultry are free range and naturally fed. Hams and bacon are cured on site and there is a variety of home-made sausages. Game is available in season. Milk, cream, yoghurt and ice-cream is produced in the Royal Dairy using milk from the two dairy herds, Jersey and Ayrshire. 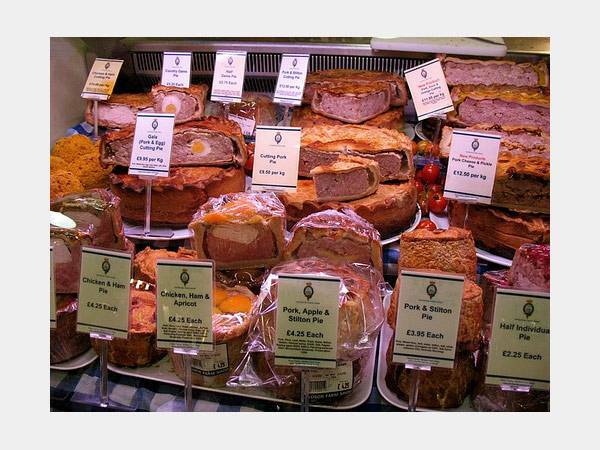 The Deli counter contains a selection of home made pies, pastries, and pork pies. 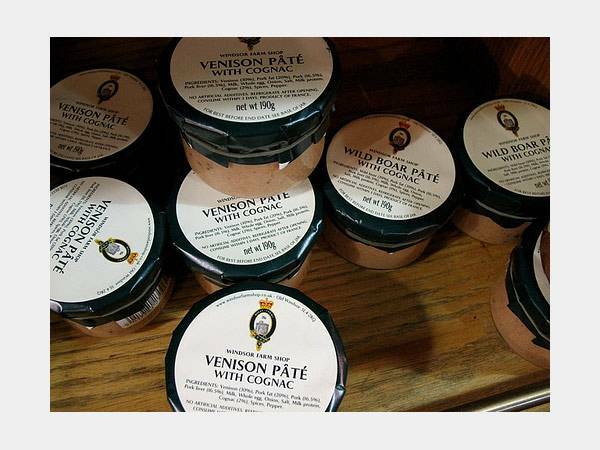 Alongside is an extensive range of pates, (including the Duchy Originals Organic Range), smoked salmon from Scotland and traditional English hand made cheeses from the long-established cheese territories. Fruit and vegetables are brought in fresh daily from local farms, such as Beaumont Farm in Old Windsor, and Sandringham Estate. 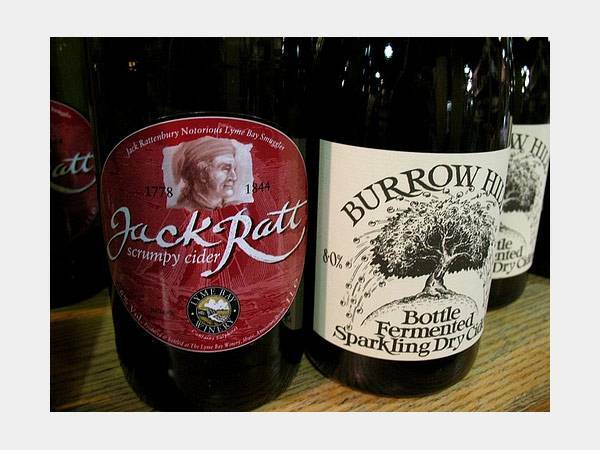 What Does Windsor Farm Shop Sell? Where is Windsor Farm Shop?